Providence serves young children with all types of disabilities at six locations across Calgary. Our unique model gives children and families a blend of programs and services built on the skills of certified teachers and therapists, and education and therapeutic assistants working directly with the children in the classroom, every day. Each classroom has a certified teacher, a teacher's assistant, an occupational therapist, a physiotherapist and a speech-language pathologist. Our mobile Outreach Team visits hundreds of daycare and day homes, as well independent and charter schools, taking therapies right to the children in their home community. Overall, children at Providence will achieve about 90% of their education and treatment goals. Many will improve to the point where they no longer require funding for their care. "We will never forget all the wonderful, caring people who made the first three years of our child's education and therapy a positive experience." 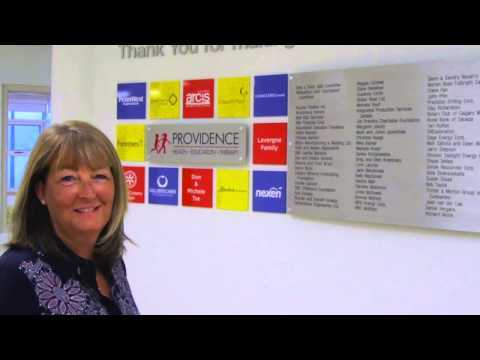 "The staff at Providence helped my daughter find her voice! My child was cared for in a caring and fun environment at Providence where she was challenged to grow and develop her own personality"
"For the first time, there was a place where we fit in. No judgement, no staring, no "you should be doing this . . . "